Seal coax fittings from moisture and corrosion. Stays flexible at any temperature. Forms and seals over odd shaped and different fittings fast. 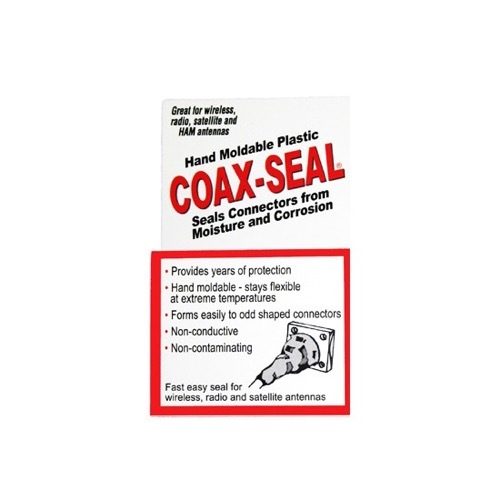 Coax-seal will allow you to quickly disconnect fittings and reseal them with same material by reforming plastic.